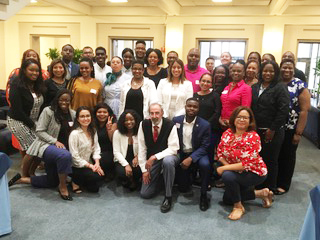 Dean Malcolm L. Morris met with aspiring law students this past week at the Council of Legal Education Opportunity (CLEO) Achieving Success in the Application Process (ASAP) event in Washington, D.C. Dean Morris is a member of the CLEO, Inc. Board of Directors and its Executive Committee. ASAP is an intensive weekend that helps participants develop the tools they need to understand the application process and become competitive law school applicants. College juniors, seniors, and post-graduates who plan to apply to law school are eligible to apply. Atlanta’s John Marshall Law School is a proud supporter of CLEO.